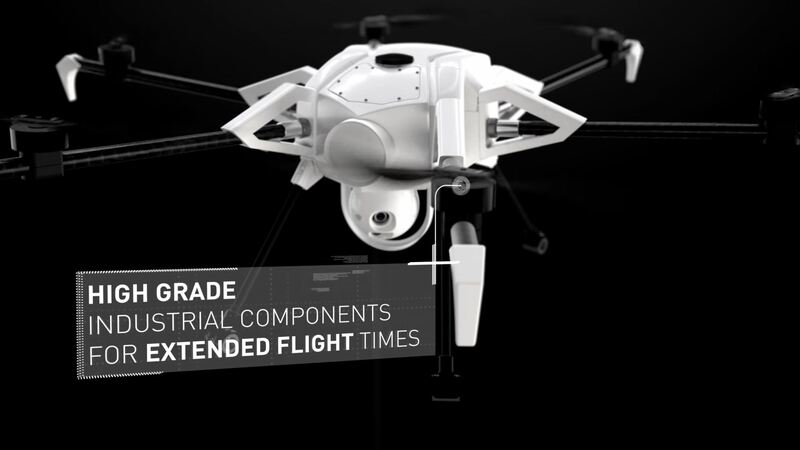 ORION is an automated, powerful and highly portable tethered drone system. 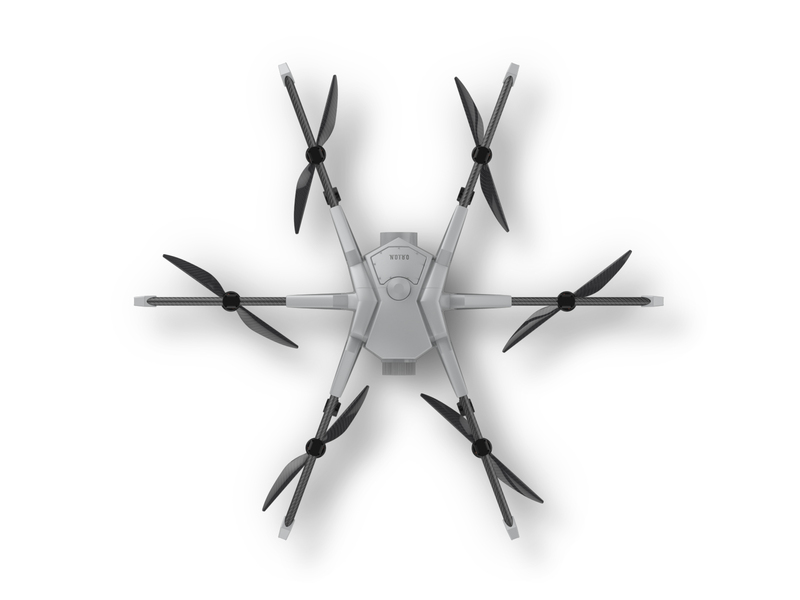 Designed for continuous aerial day and night surveillance over extended time periods over large areas. It is perfectly adapted for demanding law enforcement, private security, public safety missions and military uses. Especially designed for persistent flight, Orion is able to fly continuously for long periods of time. Orion is a push-button surveillance system, requiring low piloting skills or human intervention during operation. Robustand stable, Orion hosts a military-grade day/night surveillance camera able to cover wide areas. With an enclosed structure and aviation grade propulsion design, Orion can be used in poor weather conditions. Thanks to a simple interface and an automated flight mode, the operator requires low piloting skills. The system can be used autonomous from take-off to landing. Avoid interferences, jamming or hacking thanks to Orion fully secured and high-speed transmissions through Elistair micro-tether. Based on complementary redundancies (propulsion, energy chain, IMU’s, autopilot and satellite positioning), Orion is fully secured, minimizing human errors. The tethered drone integrates built-in fault-detection and emergency procedures, providing the highest safety during operations. Orion includes a smart parachute system further protecting the integrity of the equipment and people nearby. Orion cameras combine state of the art gimbal stabilization and crystal-clear imagery with low latencies thanks to the micro-tether high-speed and interference-free data transmission technology. 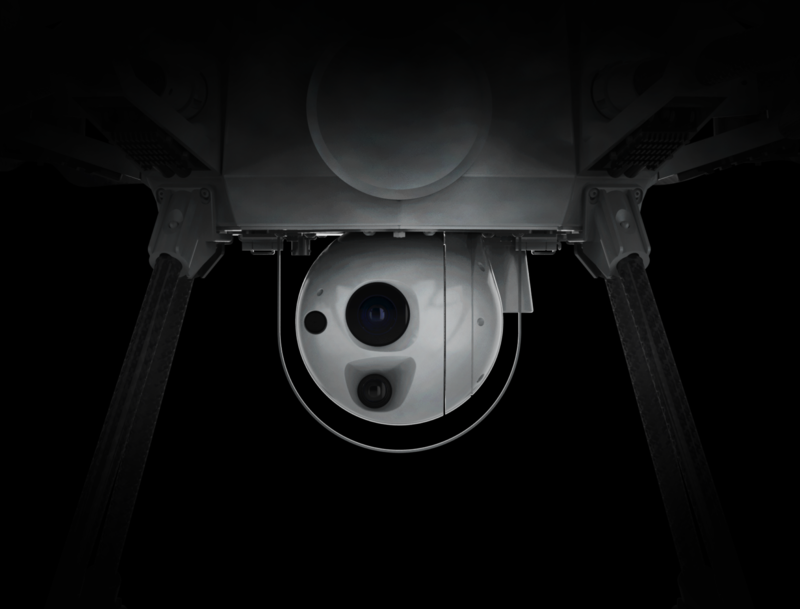 Equipped with leading industrial sensors, Orion surveillance cameras are the ultimate solution for persistent aerial surveillance. Capture and stream sharp imagery, detect, track and protect your assets. 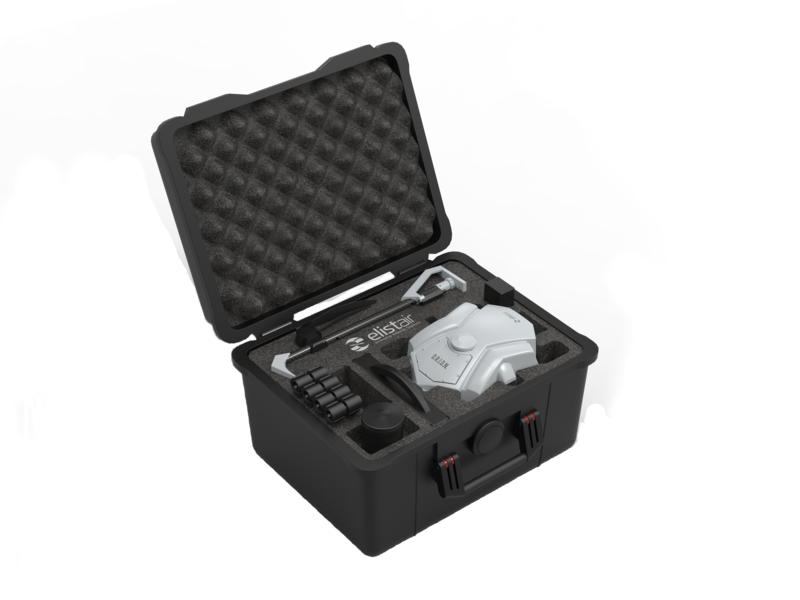 Packed into two ruggedized compact cases and easily transported (Safe-T station and Orion case), the tethered drone system is based on a modular design. Orion is assembled or disassembled quickly by hand with no tools needed. Arms easily disconnect, maximizing space for transportation. Plug your control pad to the system, select a hovering height and press launch! Orion is the utlimate persistant drone, enabling operators to widen their perspectives by bringing unlimited flight possibilities, safety and real-time surveillance of wide areas.